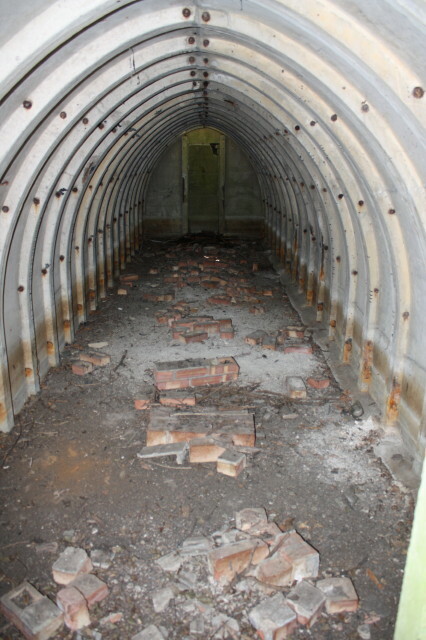 Inside of air raid shelter. Stanton design. 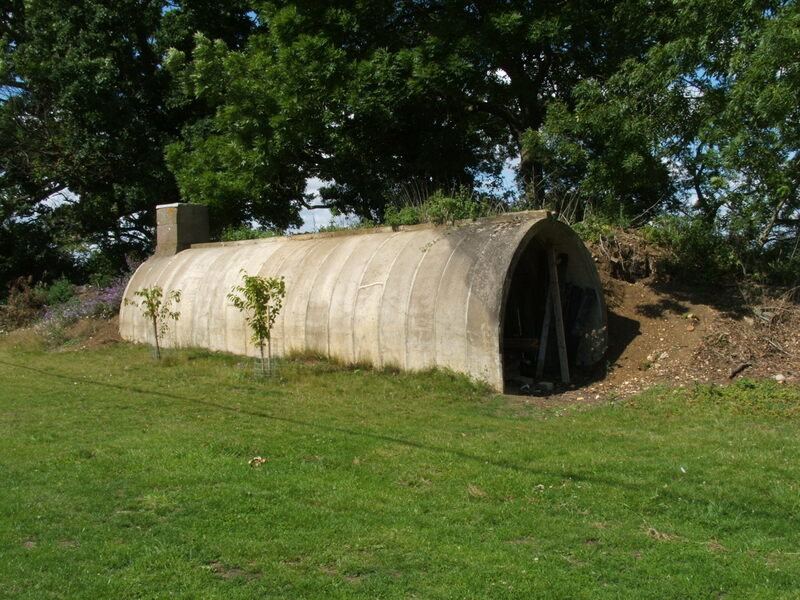 From the outside, Made from precast concrete sections.Usually covered over with soil as added protection.